And this year’s best drama for me goes to MISAENG. But wait, MAN FROM THE STARS is also considered a 2014 drama and Cheon Songyi and Do Manager are even the top contenders for SBS Drama Awards’ Daesang. So it would turn out that two of my favorite dramas for the year are extremes. One is a refreshing rom-com that made me laugh and cry and the other is a realistic office drama that pinched my heart and punched my gut. I’m past that stage that I would watch any drama. Maybe it’s age or just the preference for watching something that I won’t regret investing time in. I’d rather watch old Arashi shows or have concert DVD marathon than force myself to watch a production even if it stars my favorites. Why, I don’t even watch all of Arashi members’ dramas if they don’t get my fancy. How much more that of other artists? Now, I’m having MISAENG withdrawal symptoms. I still haven’t gotten over Jang Gurae, Ahn Yong-yi, Jang Baek-ki, Han Sukyool, Kim Dongsik and the ever awesome Oh Sangsik. Episode 19 was just so good, the tension, the heartbreak, the reality that not everything ends up happily in this world. It somehow made me wonder how they were going to end it and truth be told, before watching Episode 20, I watched the first few minutes of Episode 1 for a refresher. Indeed, character-driven dramas are the best. They make you feel like you have grown and evolved with the characters too. You look back and ask, ah it’s been three months or so already since I got to know these people? There are reviews and posts about the drama out there and I won’t add anymore because I don’t think I can ever do justice to what a good run this has been. I am so looking forward to Season 2; if we are going by the final episode, it will continue with the new trading firm. I just hope that they retain the cast because this has been one of the best ensemble I have seen in dramaland. 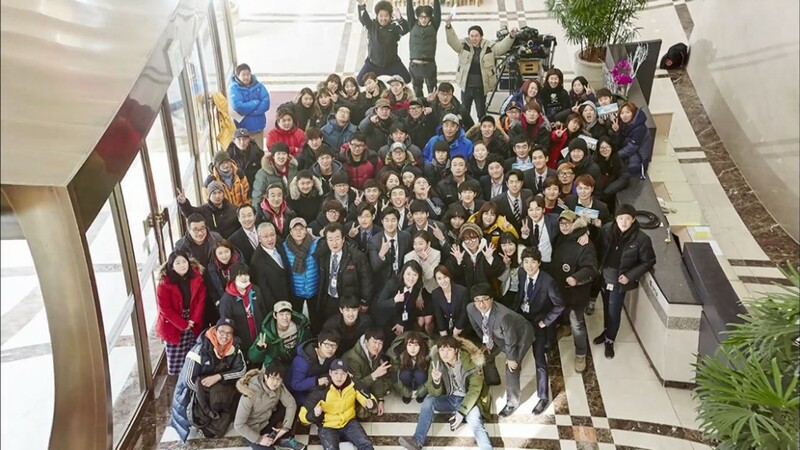 Congratulations to tvN, the production team, crew and cast of MISAENG. And thank you for giving us a work like this that makes us take a second look at dramas and rethink it as an escapist form of entertainment or a formula that’s been recycled many times over. What I like about MISAENG are the practical lessons, mostly courtesy of Guare’s Baduk and Sangsik-ism. So I end this post with one of my favorite Sangsik-ism.